The police will now investigate if the coin was never dispatched or if it went missing along the way. Adding to the ever-growing list of cheating cases in the e-commerce sphere, a man in Karnataka ordered gold coin only to receive an empty box. 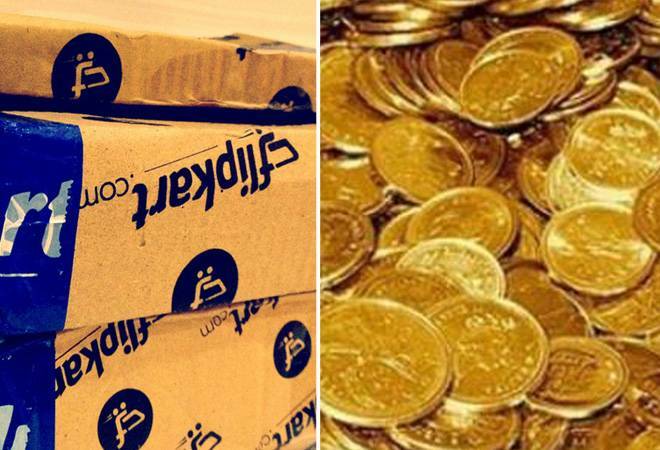 Amit Garg, an employee in a private firm in Bengaluru, ordered 20 gm gold coin from home-grown giant, Flipkart but allegedly received an empty box from PVC Logistics. Garg had placed the order in December 2017. When he received an empty box, he filed a complaint with Flipkart but did not receive any satisfactory feedback. It is only then that Garg decided to file a police complaint against Flipkart and PVC Logistics. According to reports Garg had paid around Rs 61,000 for the 20 gm gold coin. Once the parcel was delivered, Garg opened it in front of the delivery executive. He was taken aback to see an empty box. The entire incident was captured in a CCTV camera and has been furnished by Garg as proof to the police. When asked about it, the delivery executive suggested Garg to contact Flipkart. As per reports Flipkart told him that they would verify the complaint and due procedure would be followed. However, he never received a satisfactory response. A case of cheating under IPC 420, against the e-commerce and logistics firm has been filed. "We have registered a cheating case and have issued a notice to Flipkart on the same. The investigation is underway. The complaint was filed with us because the alleged victim did not receive any response through emails from Flipkart," the police said.